As they say, when one door closes another opens, as you may recall we recently put our Southwinds Town homes acquisition on hold due to declining economics at the asset level. Since that time we have secured a very exciting "off market" opportunity. 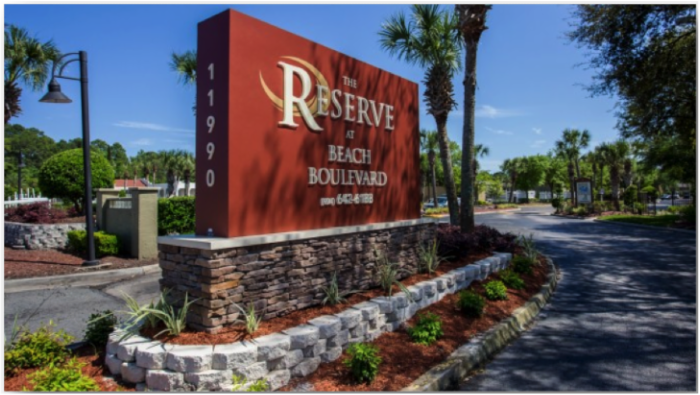 Reserve at Beach Boulevard which is located in the best sub-market in Jacksonville Fl. Located in Jacksonville Florida and is comprised of 360 units with a good mix of 1 and 2 bedroom flats and townhomes. The property was built in 1974 and recently received a $3,500,000 renovation. This projects represents an outstanding, opportunity to acquire an under performing asset that is extremely well located within its sub-market. Opportunity to reposition from C to B asset and increase rents and tenant profile to market levels. Ability to place long term agency financing under 4.7%. We have already completed our on site diligence on the physical, financial and sub-market. All has checked out and we have executed contracts targeting a closing in January 2015. We are actively accepting equity commitments and if you would like a copy of the full executive summary please contact Maria Meyer today. This is a rare opportunity to acquire such a well located asset with both solid in place cash returns and upside. Check out a video tour of the project here and stay tuned for upcoming information.